Got a clog? 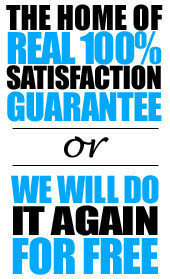 Then it’s important to call a professional service for drain cleaning in Phillipsburg immediately. If you prolong drain cleaning long enough, it may lead to some unsanitary consequences that can really serve as a detriment to life in your home. This includes an inability to use plumbing fixtures like showers and toilets, and it may even result in puddling in your front lawn! Overall, nonworking drains can dramatically decrease your home value, scaring any potential buyers away from even coming close to your home. One clog can lead to a whole slew of damages that give you a headache! 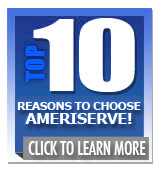 When you have a clog in need of removal, then call up Ameriserve Plumbing for drain cleaning in Phillipsburg. We’re available at any time to provide you with service, no matter the time of day. our plumbers are some of the most experienced area, and work quickly to get rid of clogs before they throw your entire plumbing system into a state of chaos. We even offer emergency service for those inconvenient, last-minute drain clogs! 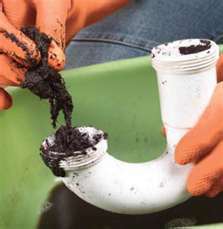 What Makes You Call for Drain Cleaning in Phillipsburg? 1. Outside Clogs: While heavy rain and wind can certainly cause damage to the exterior of your home, it can also be a source of clog problems in your outside drains. Outside drains struggle to deal with larger volumes of water, making them highly susceptible to clogs. 2. Debris & Foreign Objects: Hair, soap, cooking grease, and more can cause your drains to be clogged in an instant. Cooking grease in particular can harden and become extremely difficult to remove just with the use of a plunger. Foreign objects like sanitary items and toilet paper can also prove to be a huge source of drain clogs. 3. Broken Pipes: No matter if it’s due to tree roots, poor installation, or simply old age, broken pipes can easily lead to clogs. 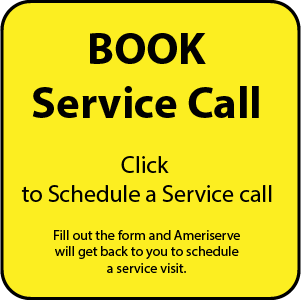 It’s important to call up a professional at Ameriserve Plumbing and Drain Cleaning to inspect the source of broken pipes in order to fix them and prevent the possibility of clogs. If you’re experiencing any of these 3 common clog problems, call up Ameriserve at 980-859-0207 for drain cleaning in Easton now and restore your drains!